At Auto Mate Systems Ltd, we often receive enquiries that require a specialised solution. From drawbridges to specialised crossing systems we work alongside our customers to create the perfect solution. With over 20 years of experience in our sector, our team can guide you through the design and manufacture, providing you with a system that is both aesthetically pleasing and effective. Having worked with both large and small companies alike, we will make sure that you are confident about the system and solution we can provide. 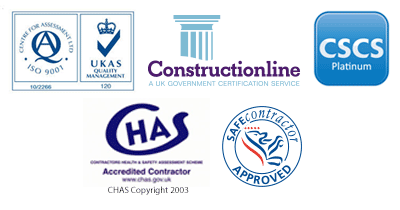 We take the time to visit your site and assess your individual situation, to make sure that we match your requirements perfectly. From this, we get to understand more about the specific scenario and we can design a system using the optimum materials alongside the most efficient of automated systems. A recent example is a custom drawbridge system that we designed and installed for one of the UK’s large sports retailers. 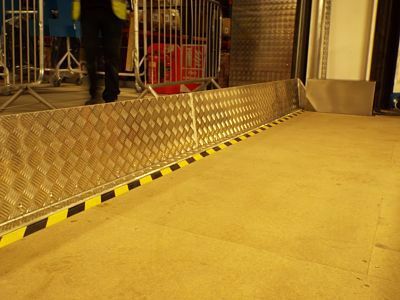 The drawbridge allows trolleys and pedestrians to cross, while in the event of a fire, the drawbridge will raise and allow for a fire shutter to come across, saving, at minimum, half of the stock in the warehouse. From working on such projects, we realise that bespoke systems can be quite difficult to come across and our specialised team is in a perfect position to offer a solution for what may be your unique requirements.